Nats 2016 Draft Status: Where do we stand now that Dunning has signed? 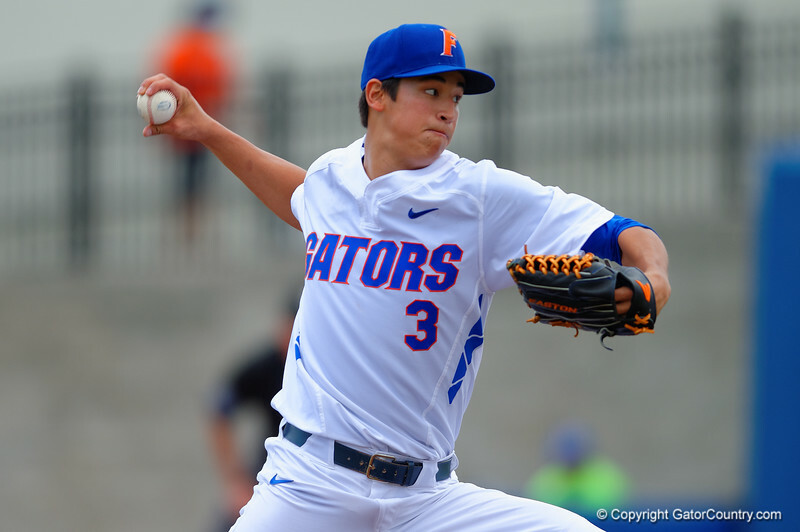 Dane Dunning headlines the 2016 draft class. On Thursday 6/30/16, the big domino in our 2016 draft class Dane Dunning finally signed, which brought the Nats draft dollar shell game into more acute focus. For those unfamiliar, here’s how the MLB draft now works with the new CBA-driven draft slotting and bonus system: Every pick in the first 10 rounds is assigned a slot figure (here’s the 2016 slot figures directly pick by pick). But you don’t have to spend all those dollars on each of those individual picks; if you “save” $100 by signing your (say) 4th rounder for $100 less than the slot value, that gives you $100 “extra” dollars to spend on someone else. Any pick made above the 10th round can be paid up to $100,000 without having to count against the total bonus figure, which is important because if you give a 11th rounder $500k, that’s $400k that has to be counted against your top 10 budget. So, the more important figure to keep in mind is this: $7,635,500. That’s the sum of all the slot values of the 11 picks in the first 10 rounds that the Nats had this year. An even more important figure is this: $8,017,275: that is precisely 5% above the $7.6M number, which is the “buffer” that MLB gives teams so as to go above their total slot values (along with a dollar-for-dollar tax penalty) without being penalized with lost future draft picks. So, that being said, upon the Dunning signing, the Nats (by my calculations) had spent exactly $8,095,000 in bonus money, or $22,275 less than their upper end figure before getting penalized. The team went way over slot to sign third rounder Jesus Nuzardo, paying him the equivalent of mid 2nd round money to buy him out of his Miami commitment and get him into the fold. That seems like good value; he was projecting as a 1st rounder out of HS earlier in the year before hurting his arm. The team went slightly over budget to get Nick Banks, a nominal amount in the end for a US collegiate National team guy who also projected as a first rounder at the beginning of the year. Lastly they dropped $400k ($300k over slot) on their 11th rounder Armand Upshaw, a move that has been somewhat questioned based on his Juco Stats (he did have a 4-year commitment to Missouri that had to be bought out). These two big over-slot deals means club basically ended up with an extra 2nd rounder and an extra 5th rounder. That’s pretty good value. The team went under slot (as has now become the custom) with a number of its round 6-10 guys to save the money needed for these overslot deals: they got their 9th and 10th rounders for just $10k each (Joey Harris and Paul Panaccione); with all due respect to these two guys, don’t expect much out of them beyond this year. Surprisingly to me, they got 2nd rounder Sheldon Neuse to sign for more than $200k underslot; this was a guy who was named the Big 12 player of the year this year, was Louisville Slugger 2nd team all-american, was a semifinalist for the Golden Spikes award and was just give the 2016 “Brooks Wallace” award for best college shortstop. Basically, he had a great year this year and I like this pick. 35 1054 Tristan Bayless LHP HS ?? 40 1204 Sean Cook RHP HS Maryland walk-on? (Note; in-between the original writing of this post and the publication, both 12th rounder Hayden Howard and 15th rounder Ryan Williamson signed; the signing of Howard came as somewhat of a surprise to me because he still had some eligibility. Apologies if I forgot to update a spreadsheet or table somewhere). 30th rounder Tristan Clarke: twitter handle is https://twitter.com/TClarke_9 but its protected, so no hints as to his intentions. He’s at a Juco now, but has committed to attend “UNO” which I can only assume is the University of Nebraska-Omaha and not the University of New Orleans. It does not seem like he’s going to sign. 34th rounder Morgan Cooper: twitter handle is https://twitter.com/mojaycoop: he missed all of 2015 with TJ, was Texas’ mid-week starter in 2016 and put up mediocre numbers. He could end up with two more years of eligibility if I read his history correctly, so he makes sense to return to Texas, get into the weekend rotation and improve his draft stock. 37th rounder Cory Voss: no idea what his twitter handle is, nor if he’s signed with a 4-year program out of his current Juco. Tough one to find information on. 19th rounder Jarrett Gonzales: I cannot find his twitter, nor much information; he’s apparently committed to Grayson Junior College, which would make him draft eligible again next year, so why not roll the dice and play a year of Juco to increase value? 32nd rounder Garrett Gonzales, the cousin of Jarrett and they’re both related to a Nats scout in the area. Committed to Incarnate Ward. Twitter handle https://twitter.com/gmoneyGarrett7 : this seems like a “favor draft pick” to an area scout who may not have gotten another guy drafted. 33rd rounder Ryan Wetzel, committed to Pitt State, twitter https://twitter.com/ryanwetzel21. Does not seem likely to sign. 35th rounder Tristan Bayless, LHP out of a Texas HS. Can’t find twitter, can’t find his commitment, not in PerfectGame.org. An enigma. 36th rounder Jordan McFarland, an OF out of an Illinois HS committed to Arkansas. No Twitter, little hope of signing. 38-40th rounders: the Nats take three local kids Noah Murdock, Matt Mervis and Sean Cook. Murdock was the Virginia 3-A East Regional player of the year from Colonial Heights HS south of Richmond and is a UVA commit and has already announced he’s going to school. Mervis is from Georgetown Prep, was 2nd team all-Met in 2015 and in 2016 and is committed to Duke; he was one of the marquee Maryland Prep players in this class. So both of these were “good” picks. Sean Cook was a 2nd-team All-Met ins 2016 but doesn’t have a rich pedigree in the scouting circles (he has no Perfect Game profile), and has been quoted as wanting to “walk on” at Maryland. No offense to the kid, but this sounds like a “favor” draft pick as well to someone connected with the team. We’ll have more detail on these local-connected drafted kids after the 7/15/16 signing deadline, summarizing everyone with local connections who was drafted. Summary: I’ll be shocked if any of the remaining un-signed guys signs, so it looks like the class is complete. Breakdown by State: 9 of the 41 drafted kids are from Texas. Another 3 from Oklahoma; this continues a trend we’ve seen where the Nats really, really focus on this SW area of the country. Other states with multiple players picked: Florida (4), California (3), and Virginia (3). 14 position players, 16 pitchers. Of the pitchers, 9 righties, 7 lefties. If you have any information on guys that I don’t please chime in with a comment. One additional comment; as we’ve now seen, the Nats have been highly active in the 7/2 international market, blowing well past their allotted IFA bonus money to sign. According to Baseball America’s rankings, the Nats signed the #3 prospect in the IFA market this year in Dominican SS Luis Garcia, the #14 player in Dominican SS Yasel Antuna, the #30 player in Venezuelan OF Ricardo Mendez, and another Venezuelan C named Israel Pineda (you know, since they’ve had such great luck so far with Catchers from Venezuela). I don’t know anything about these players and neither does anyone else besides a handful of hard-core scouting pundits who actually travel to these countries to eyeball these players. Still, they’re mostly 16 yr olds; HS sophomores. It could be money down a rat hole, or they could strike gold. We won’t know for several years in any case. Its one of the reasons I stopped tracking the Dominican Summer League (and one of the reasons Luke Erickson stopped hyper-tracking the daily machinations of both the DSL and the GCL); call me when they get to the states in a couple of years and we’ll see how they’re doing.